At Cobaltqube Media, we work closely with our clients to weave together a marketing strategy that helps build their brand and extend their reach to existing and potential customers, in an effective and result driven way. 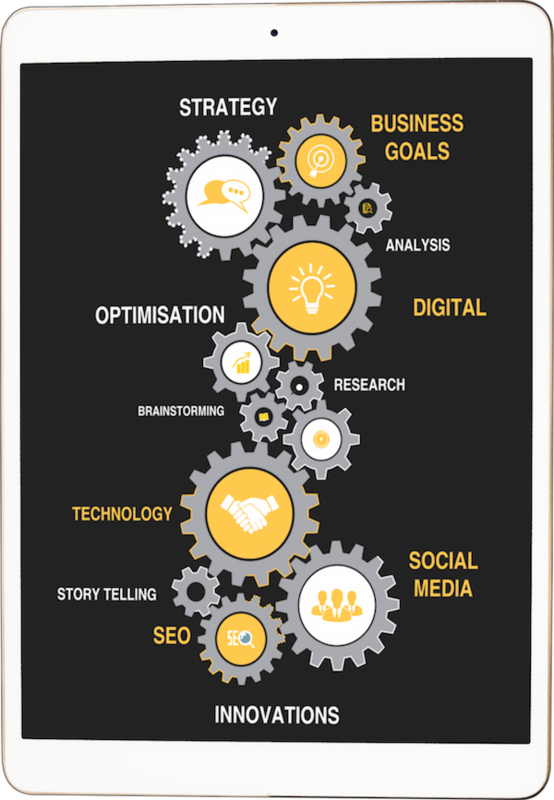 We carefully devise a 360 degree marketing plan keeping in mind your brand, business goals, buyer personas and needs. We distribute the content to the right target points in a timely manner to ensure it reaches the targeted end consumer. We create content, be it any format text, pictures & infographics or videos which are impactful and leads to goal conversions. We analyse campaigns with analytics and modify our Strategy as and when required till we hit the sweet spot for maximum effectiveness. At Cobaltqube Media we work in close collaboration with our clients day in and day out. We believe in understanding the client’s thought process rather than just the requirements in order to deliver high quality projects. Market & segment research, competition analysis and buyer personas form the back bone of our strategies. Our digital campaigns & communication are well structured based on social media listening, market trends and keyword research for result oriented planning. Analytics is crucial to monitor, analyse and optimise campaigns. We are a data driven agency, which provides meaningful insights into our campaigns, analyse and modify our approach for maximum benefit. We jointly work with our clients and brain storm on various approaches to arrive at a winning strategy. We bring in the minds that are inspired, think fresh and creative, understand technical nuances of digital world and help our clients in strategic decision making. We take limited number of projects at a time and strive to deliver quality work. Our aim is to deliver the best results with the projects we take rather than taking every other project and deliver mediocre quality work. We build and strive for a culture of creative thinking. Creativity helps create campaigns that gather eye balls, create an impact and in return create value for our clients. Riot of colours or minimalistic design, we create artworks that best suits the brand and it's campaigns. We believe in building long and mutually beneficial relationships rather than quick money. We hand hold our clients through their project, guiding them on best practises and techniques for best and sustainable results. Each completed project makes us even more hungry, hungry for more innovation, more designs and more challenges. As a result we deliver a better digital experience.